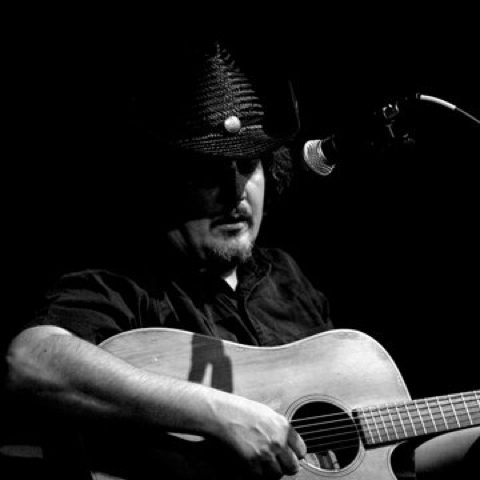 The legendary drivin' n' cryin' frontman Kevn Kinney performs a solo, folk show at Red Light Café! Jacob Chisenhall (of Fake Flowers) opens. Kevn Kinney is the lead singer of the Atlanta rock band Drivin' n' Cryin', but since the band's 1986 inception he's released some spare acoustic records on his own, often collaborating with R.E.M. guitarist Peter Buck. Though often cited as a working-class lyricist, Kinney cannot easily be thrown into the same bag as Springsteen, Mellencamp, or Dave Alvin. Instead, his is a unique spin on class, not urban yet not completely rural — he's lived and worked in the urban center, Atlanta. Yet there is a gentleness and deeply humanistic thread to his work, and his use of traditional instruments enhances his words' warmth. MacDougal Blues for Island in 1990 announced the rocker's arrival on the folk scene with the engaging title cut and nine more acoustic tracks produced by Buck and mostly played by his bandmates from Drivin' n' Cryin'. His follow-up, Down Out Law (Mammoth, 1994), is a little more of a downer and less a celebration of folk music than a revealing, melancholy personal treatise, unaccompanied except by himself on guitar, save for one track. Continuing to record with Drivin' n' Cryin', Kinney also toured as a solo act for some time, often assisted by Buck or his brother. A side project with Warren Haynes (Gov't Mule, ex-Allman Brothers) turned into Kinney's third solo album; released in 2000, The Flower and the Knife featured a number of other guests, including Blues Traveler's John Popper, Edwin McCain, members of Gov't Mule and the Allman Brothers, and more. Broken Hearts and Auto Parts arrived in 2002, followed by a reunion record, Great American Bubble Factory, with Drivin' n' Cryin' in 2009. Kinney returned in 2012 with a new solo outing, Good Country Mile, with the Golden Palominos.